Critically acclaimed and prolific actor Anton Yelchin, who passed away in June 2016, was recently seen reprising the character of Pavel Chekov in 2016's Star Trek: Beyond. 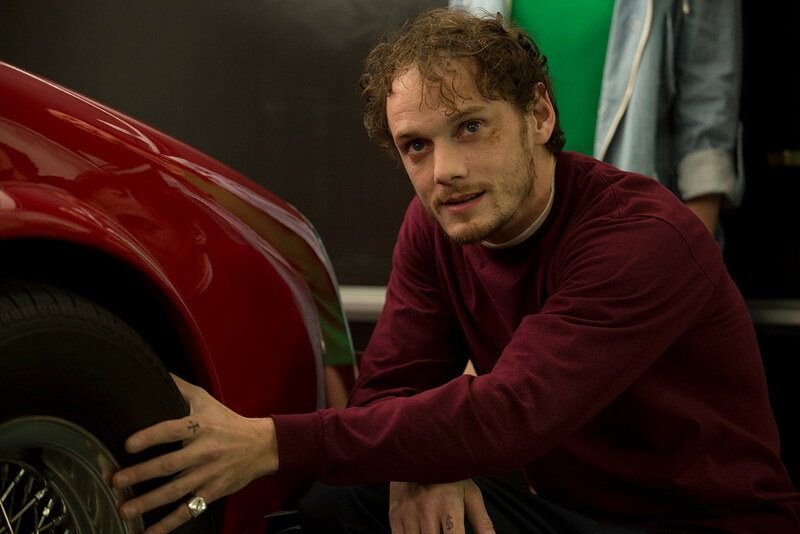 Audiences can see Anton in the thriller Green Room alongside Patrick Stewart, in which Anton stars as the head of a punk band who witnesses a murder, and in The Driftless Area for director Zachary Sluser. In 2016, Anton voiced the character of Jim Lake Jr. in Guillermo del Toro’s animated Netflix series "Trollhunters." Anton’s final work as an actor can be seen in the 2017 films Rememory, We Don’t Belong Here and Porto. In 2015, Yelchin starred alongside Ethan Hawke and Ed Harris in Cymbeline, the modern-day telling of the William Shakespeare story, which premiered at the Venice Film Festival; in Broken Horses with Vincent D’Onofrio and Chris Marquette; in the romantic comedy 5 to 7 with Glenn Close and Frank Langella, which premiered to rave reviews at the Tribeca Film Festival; Rise, alongside Sarah Dumont & Guy Wilson for director David Karlak; The Greens are Gone in which he plays Catherine Keener’s son who suddenly goes missing; and the narrative drama Port Mon Amour for director Gabe Klinger and producer Jim Jarmusch. In 2014, he co-starred in Burying the Ex for director Joe Dante, which premiered at the Venice Film Festival; The Dying of the Light for director Paul Schrader; and Rudderless for director William H. Macy, alongside Laurence Fishburne, Billy Crudup and Felicity Huffman, for which he won the Chicago International Film Festival Award for Best Actor; The Experimenter alongside Winona Ryder and Peter Sarsgaard; and Only Lovers Left Alive, alongside Tilda Swinton, Tom Hiddleston and Mia Wasikowska. He also garnered critical acclaim for his starring role in Stephen Sommer’s Odd Thomas. In 2013, audiences saw Anton reprise his role as Pavel Chekov in Paramount’s Star Trek: Into Darkness and his role as Clumsy Smurf in Sony’s Smurfs 2. Anton also voiced the lead character in the English version of the film From Up On Poppy Hill. Anton received critical acclaim for his starring role in Drake Doremus’ film Like Crazy, for which he was honored with the Artist to Watch Award at 2011 Aspen Film Festival and the Hollywood Spotlight Award at the 2011 Hollywood Film Festival. Anton also garnered praise from critics for his performance as Porter Black in The Beaver, co-starring with Mel Gibson and director Jodie Foster. Anton’s film credits include a starring role opposite Colin Farrell and Tony Collete in the Disney/Dreamworks thriller Fright Night; he voiced the character of Albino Pirate in the animated feature The Pirates Band of Misfits, starring Hugh Grant and Salma Hayek; he starred as Kyle Reese in Terminator Salvation opposite Christian Bale and Sam Worthington; and he starred in Charlie Bartlett as a title character opposite Robert Downey Jr.
Additional films include Alpha Dog opposite Bruce Willis; Hearts in Atlantis opposite Anthony Hopkins; Fierce People opposite Diane Lane; Middle of Nowhere opposite Susan Sarandon; House of D opposite Robin Williams and New York, I Love You.